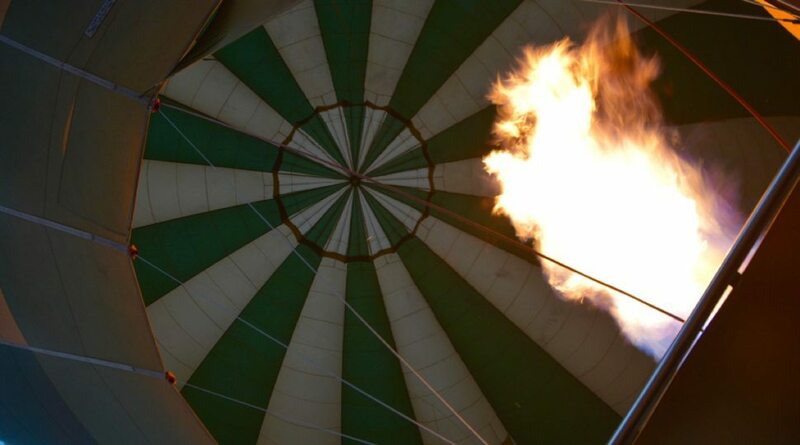 A safari balloon ride through the Serengeti is just one way for adventure travellers to experience the world from above. Thrill-seekers know the formula for an epic adventure: a little adrenaline, clear skies and the promise of awe-inspiring views. Few things compare with sailing above the Serengeti grasslands in a hot-air balloon or catapulting through the atmosphere during a skydiving expedition in Dubai. Of course, not all airborne experiences require nerves of steel. 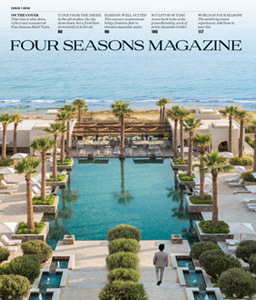 Board the Four Seasons Jet and you’ll see how relaxing a bird’s-eye view can be. To satisfy all varieties of travellers, we’ve rounded up eight of the world’s most breathtaking destinations and the most exhilarating ways to see them from the sky. From Hong Kong to Whistler, follow our guide to catching air. 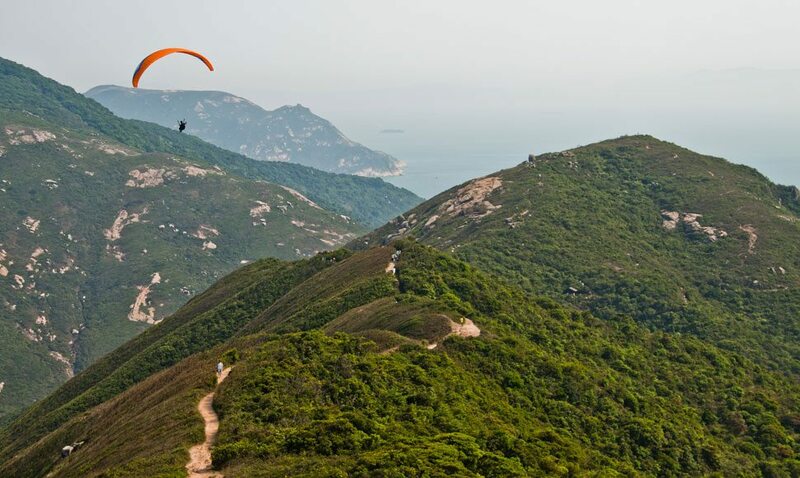 At 248 metres high, Shek O Peak, on the Dragon’s Back trail, is one of Hong Kong’s most popular paragliding spots. Bustling Hong Kong is surprisingly friendly to outdoor adventurers, with its winding hiking trails leading to serene beaches and wetlands. The 8.5-kilometre (5.3-mile) Dragon’s Back trail has been ranked among the world’s best places to go paragliding, thanks to its dramatic vistas and expansive gaps that spread towards the South China Sea. Expert gliders will easily find comrades along the ridge, though beginners should consider taking a course with one of the city’s paragliding outfits, arranged by Four Seasons Hotel Hong Kong. 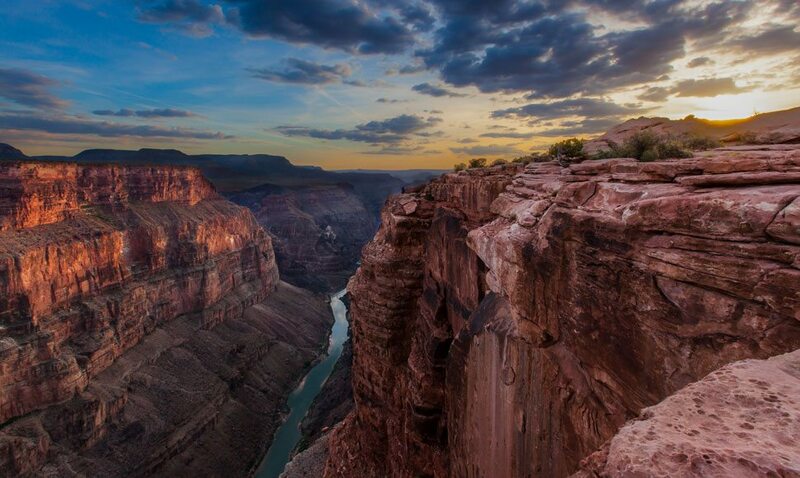 The Grand Canyon’s West Rim, site of a towering glass-bottom bridge, rests in Hualapai Indian territory. Trade bright city lights for a sprawling desert landscape during an experience available exclusively to guests of Four Seasons Hotel Las Vegas. 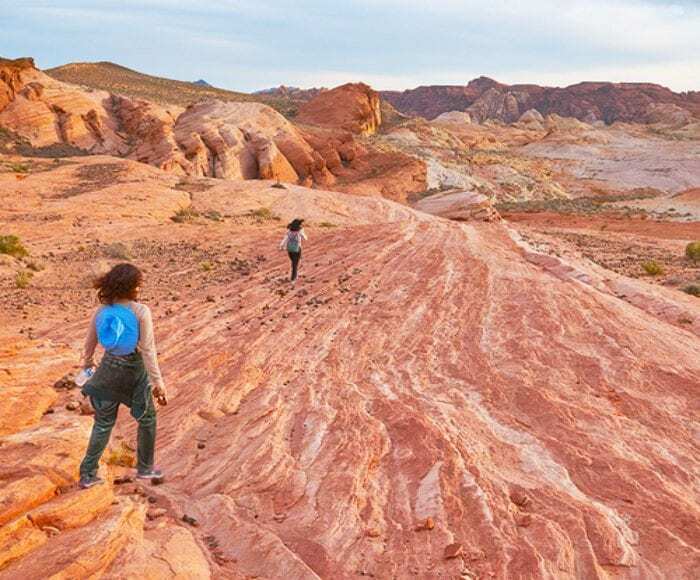 A private helicopter carries you to the Valley of Fire, Nevada’s oldest and largest state park, where you’ll see rare petroglyphs and sandstone rock formations. Next you’ll venture to the West Rim of the Grand Canyon, following the bend of the Colorado River, and touch down for a private lunch amid one of the world’s seven wonders. Skydive Dubai offers tandem dives with expert instructors as well as a training programme for those who wish to take the plunge solo. 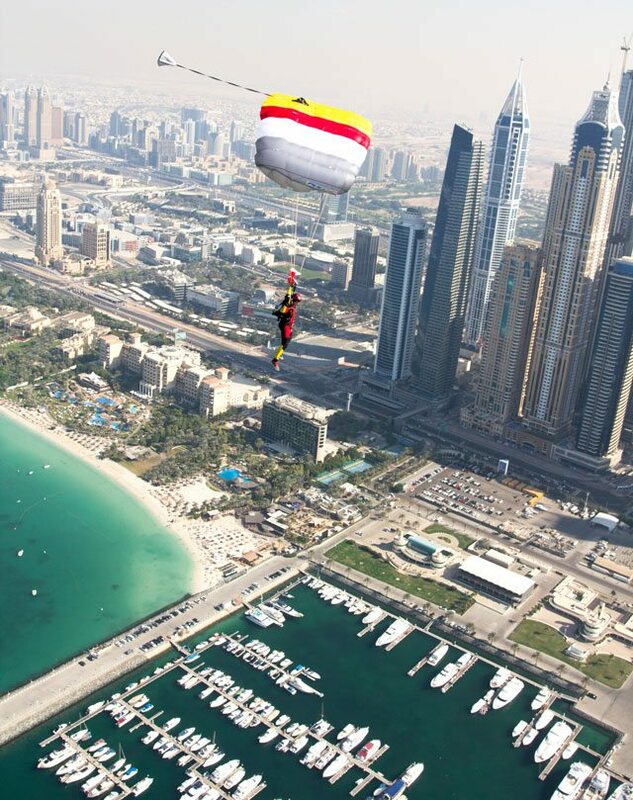 Ranked a top drop zone, and the host of one of the world’s biggest skydiving championships, Dubai – home of Four Seasons Resort Jumeirah Beach and Four Seasons Dubai International Financial Centre – draws both experts and beginners with glimmering views of the city skyline and the Arabian Gulf. Flying above the fan-shaped archipelago of Palm Jumeirah is your photo-worthy moment. When the beauty of a landscape compels you to take flight, a hot-air balloon is your ideal vessel. The gentle hot-air balloon safari, arranged by Four Seasons Safari Lodge Serengeti, allows for the ultimate scenic view – an unobstructed 360-degree panorama – so it’s no wonder hot-air ballooning is a favourite pastime in wilderness expanses such as the American Southwest. The Serengeti, with its golden savannahs and rich wildlife, may be the world’s best destination to lift off and float the morning away. Strap into a harness and sail through the jungle canopy of Guanacaste Province on a zip-line tour arranged by Four Seasons Resort Costa Rica at Peninsula Papagayo. Spot tropical birds, tree frogs and howler monkeys up close, and soar above gorgeous waterfalls as you make your way from platform to towering platform. Witch’s Rock Canopy Tour, with its 24 platforms and three suspension bridges, offers some of the best views of Costa Rica’s landscape. Sampling island flavours is the perfect way to celebrate after an aerial tour of Maui’s magnificent landscape. Admire the island’s green peaks, plunging waterfalls and grand dormant volcano during a private Maui helicopter tour with Four Seasons Resort Maui at Wailea. The ride is a scenic primer for your destination and main event: a gourmet lunch at Hana Ranch. 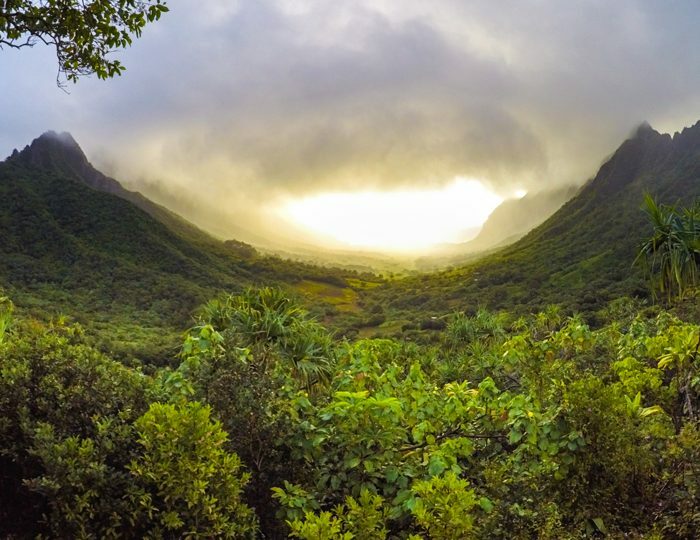 Surrounded by ocean and mountains, Maui’s famed organic farm cultivates local ingredients. Tropicsurf guides accompany you on your seaplane surfing safari, so you’re guaranteed to find plenty of private waves to suit your skill level. Experience the Indian Ocean from sea and sky during a seaplane surfing excursion with Four Season Resort Maldives at Kuda Huraa. 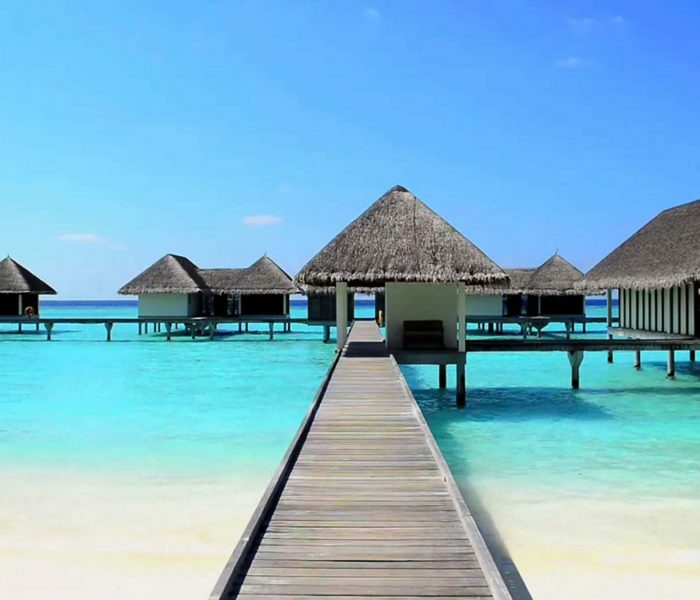 You and your surfing guide will board a seaplane and cruise the Maldivian atolls searching for prime waves. When the timing is right, you’ll touch down and surf to your heart’s content. 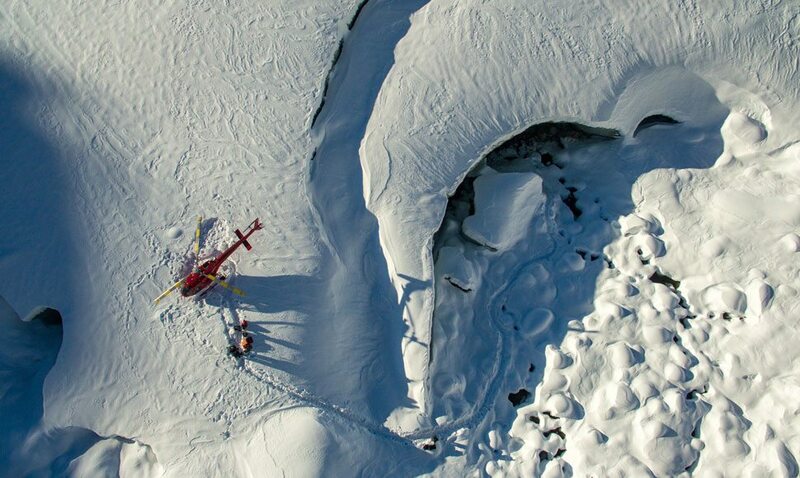 Accessible only by helicopter, the remote thermal baths sit amid snowcapped mountains. Choose the site of your next adventure and awe-inspiring view.